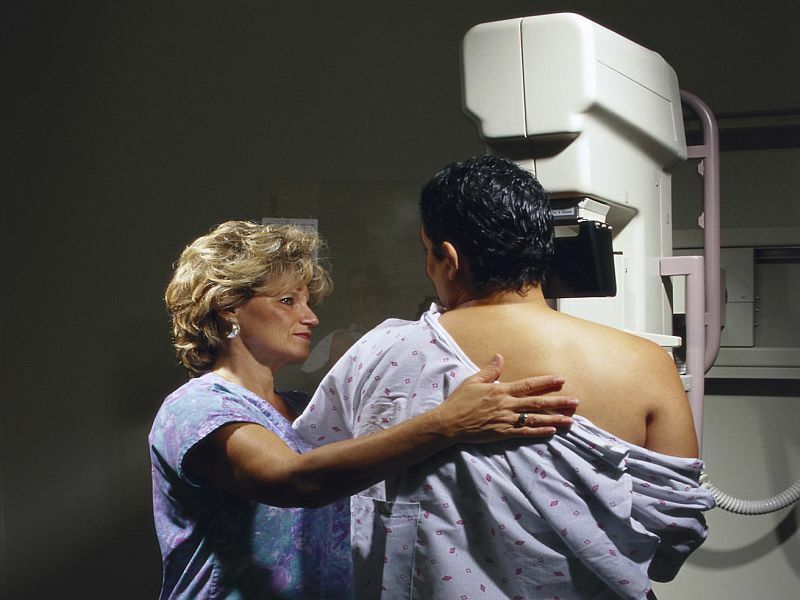 TUESDAY, Oct. 27, 2015 (HealthDay News) -- Mammography breast cancer screenings are most beneficial if they are analyzed at hospitals that handle many of them, a new study suggests. These higher-volume facilities are much more likely to detect invasive breast tumors at an early stage, when they're most treatable, the researchers found. The findings address "an important gap in evidence that informs whether facility volume is associated with good screening outcomes for women -- such as finding more early invasive tumors rather than advanced, which helps reduce the likelihood of dying from breast cancer or having more intensive treatment," said study first author Tracy Onega. Onega is with the Norris Cotton Cancer Center at Dartmouth-Hitchcock Medical Center in Lebanon, N.H.
Last week, the American Cancer Society updated its guidelines, recommending that women at average risk of breast cancer start mammography screenings at age 45 and continue annually until 54, and then every other year while they are healthy and expected to live another 10 years. Previously, the society recommended annual mammograms starting at 40. Many large hospitals use digital mammography capable of analyzing an average of 2,000 mammograms a year. This means smaller hospitals could send their mammograms to these higher-volume facilities for interpretation, Onega said in a center news release. Further research to learn how handling large numbers of mammograms improves the detection of early stage breast cancer could help identify ways to help smaller hospitals boost their abilities, she added. The study was published recently in the Journal of Medical Screening.